NEW YORK – As the World Bank prepares to start accepting nominations for a new leader early next month, US President Donald Trump’s daughter and adviser Ivanka is among possible US candidates to replace the outgoing president Jim Yong Kim, the Financial Times has reported. Kim abruptly announced on Monday he was cutting short his tenure over three years before his second term was due to end. The newspaper says that in addition to Trump’s daughter, there is also former US ambassador to the United Nations Nikki Haley who stepped down last month. Others are Treasury under-secretary for International Affairs David Malpass and Mark Green, head of the US Agency for International Development. In 2017 Ivanka Trump was the driving force behind a $1 billion, Saudi-supported World Bank fund to promote entrepreneurship by women. Under an unwritten agreement, the United States, which is the Bank’s largest shareholder, has always chosen its leader since the institution was founded following World War II. But the success of a US candidate no longer appears completely assured. 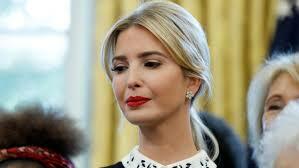 The White House denies Ivanka Trump is under consideration for the job but will have a role in the selection process. The new World Bank president is expected to be announced by mid-April.